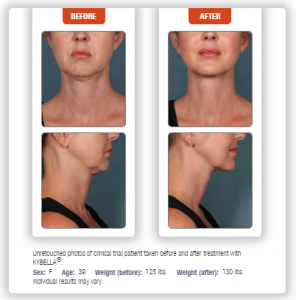 Running out of creative ways to conceal the fullness beneath your chin? 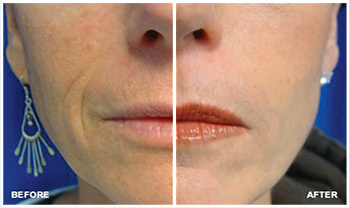 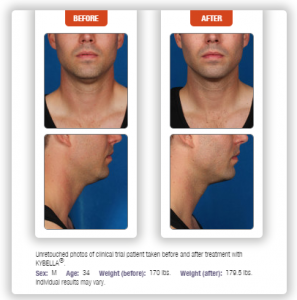 Men and women who want to get rid of fat below the chin for a slimmer, more refined look now have a breakthrough, non-surgical solution. 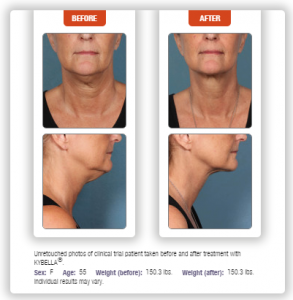 Sometimes called the “double chin injection,” KYBELLA™ is now available at Vixen Aesthetics as an alternative to neck liposuction. 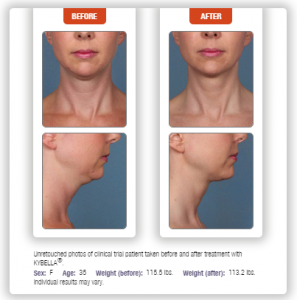 KYBELLA® (deoxycholic acid) injection is the first and only FDA-approved injectable treatment that is used in adults to improve the appearance and profile of moderate to severe fat below the chin (submental fat), also called, “double chin.” So, if you’re bothered by fat in this area and want to learn more about KYBELLA™, request a free consultation with the team at Vixen.